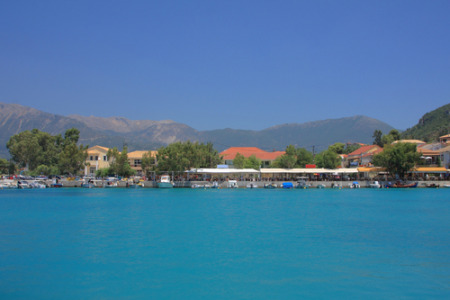 Vassiliki holidays take you to the south coast of the beautiful Ionian island of Lefkas. It is located on a wide bay that is very popular with wind surfers. It is the second largest resort on the island and provides a wide variety of recreational facilities which means that holidays in Vassiliki appeal to many. The pebble and shingle beach washed by crystal waters offers safe bathing for children and less confident swimmers, and there are many opportunities for water sports. Holidays to Vassiliki can be taken from April until October when the temperature rises from twenty to thirty degrees at the height of the season.